Night Owl? No Problem | Valet. You hear it (and read it) constantly, that you likely need more sleep, right? That sleep is great for you, your body and your entire wellbeing. And we're certainly not here to tell you to sleep less. But if you're naturally more of a night owl, we're here to free you from the grief you so often get about it. Because it turns out, that being a night owl comes with some distinct advantages that those people tucking in early don't get. The well-known men known to stay up late into the evening. But before we get to those, we have to address the most common fear of those who stay up late: if you're still wide awake at 1:30 am but still rack up a solid seven to eight hours of sleep, are you any less healthy than those who call it a night at a very respectable 10 pm? "For most people, eight hours straight is eight hours straight," says Michael Breus, Ph.D., author of The Sleep Doctor's Diet Plan. "The old saying that sleep before midnight is actually better than sleep after midnight doesn't seem to have any real science behind it." The reason the notion took hold is that there is something to this theory—though it's not actually about going to bed before midnight, but rather how our sleep changes throughout the night. "It's actually during the first third of the night that we experience the deepest part of our sleep," says Dr. Simon Kyle, a senior research fellow at Oxford University. "We move into deep sleep more rapidly and it's the phase of sleep during which we're least likely to be disturbed and wake up." This deep or slow-wave sleep is the most restorative part of our sleep, so it was thought that the earlier you went to bed, the more of it you'd get. According to Dr. Kyle, the key to great sleep is to sync your bedtime with your natural circadian rhythm. Sleep is most beneficial when your body anticipates it. Which is why those who naturally stay up later shouldn't fight it. Besides, there are benefits to being the opposite of a morning person. Researchers in Milan found that those who stay up late are more likely to develop original and creative solutions to problems than early risers. Marina Giampietro, the lead author of the study, hypothesizes that night owls might be more creative because staying up late "may encourage the development of a non-conventional spirit and of the ability to find alternative and original solutions." A 2009 study by the University of Liege monitored "extreme night owls" and "extreme early birds" and had participants stay on their normal sleeping schedules. Researchers measured their brain activity after participants first woke up, and then once again 10.5 hours later. The study found that participants scored similarly on the first test, but that "10.5 hours after waking up, the early birds had lower activity in brain regions linked to attention and the circadian master clock, compared to night owls." You Have More "Me Time"
There's something about nighttime, over any other time in the day, when it seems easier to focus on yourself. The distractions of work, texts and phone calls melt away and it's like you've been given time to hone any skill you want. Want to learn guitar, write a novel or build something? Suddenly, the time that others spend sleeping is, for you, spent creating or practicing. 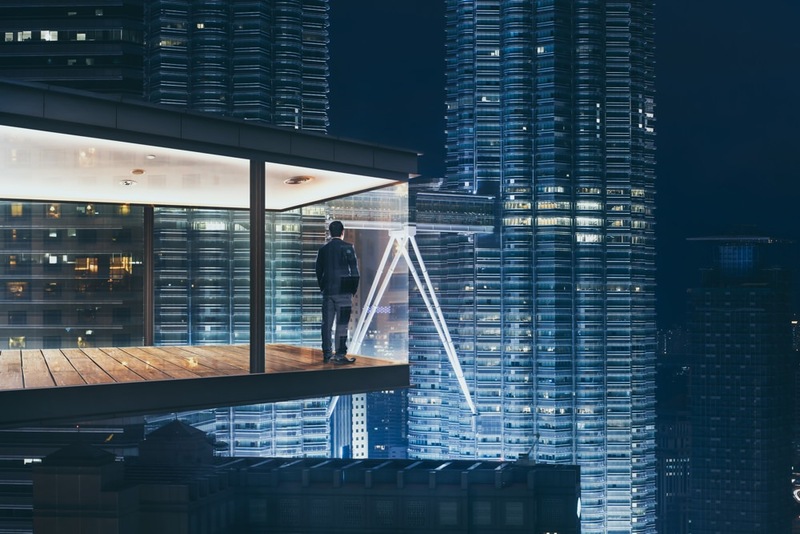 According to researchers at the University of Chicago, night owls have a higher propensity for risk taking and reap the benefits from their boldness in many ways. They have the makings for becoming successful entrepreneurs, they make time to try new things both at work and in their social lives and, perhaps not surprisingly, they reported twice as many sexual partners than their early bird counterparts. What's more important: an extra hour of sleep or getting up early to work out? It's something we're all guilty of. And it might be ruining your love life.